Popular shock-jock suggests New Zealand pop star is anti-Semitic after she cancels Tel Aviv concert. Popular U.S. shock-jock Howard Stern took a shot at New Zealand pop star Lorde this week, after she canceled an upcoming show in Israel amid pressure by supporters of the Boycott, Divestment, and Sanctions movement (BDS). 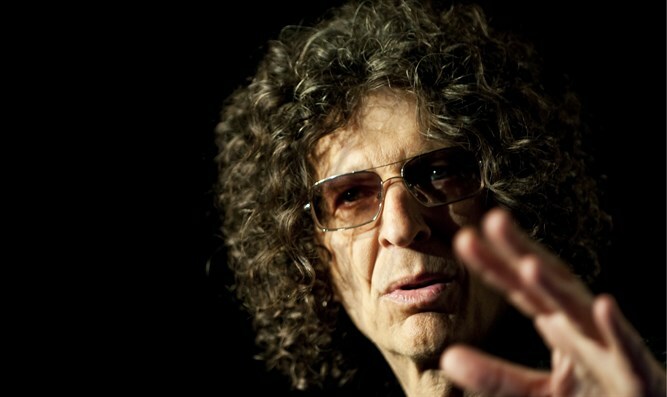 Stern, an ardent supporter of Israel and constant critic of musicians who refuse to take the stage there, blasted Lorde on his Sirius XM radio show, saying the singer likely has a problem with Jewish people. "She has no problem with Russia. The only place in the world where she can’t play is Israel. So what do you think’s going on? What’s the one thing about Israel that’s different than all other places. There’s Jews there … I hope Lorde has a good time in Russia," he said, as quoted by The Washington Free Beacon. News of the cancellation of Lorde’s June concert in Tel Aviv came days after pro-Palestinian Arab fans in her native New Zealand criticized her. Israeli concert organizers announced the cancellation and said ticket sales would be refunded. In the past, Stern also has blasted former Pink Floyd frontman and notorious anti-Israel activist Roger Waters for his vocal criticism of Israel and effort to get various artists to cancel concerts there. Waters, who regularly pressures artists not to perform in Israel, last week was one of 100 artists who signed an open letter in support of Lorde. The letter of support by the group of artists was a response to U.S. Rabbi Shmuley Boteach, who published a full page advertisement in the Washington Post in which he called Lorde a Jew-hating “bigot” and a hypocrite on human rights issues.